I absolutely LOVE summer and all of the fresh garden veggies and juicy fruits that go along with it. Summer to me means vibrant colors and flavors and soaking up the sun. I love visiting our local farmers market and scooping up the latest in-season fruits and vegetables. 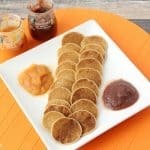 If you are a mama to little ones, as I am, then you probably wonder how they can experience these amazing fruits and vegetables that you love this time of year. I’ve got answers for you! I’ve also got my favorite berry galette recipe to share with you. 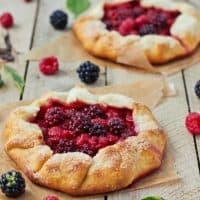 You can make the galette with whatever in-season berries or fruits you can find at your local farmers market. 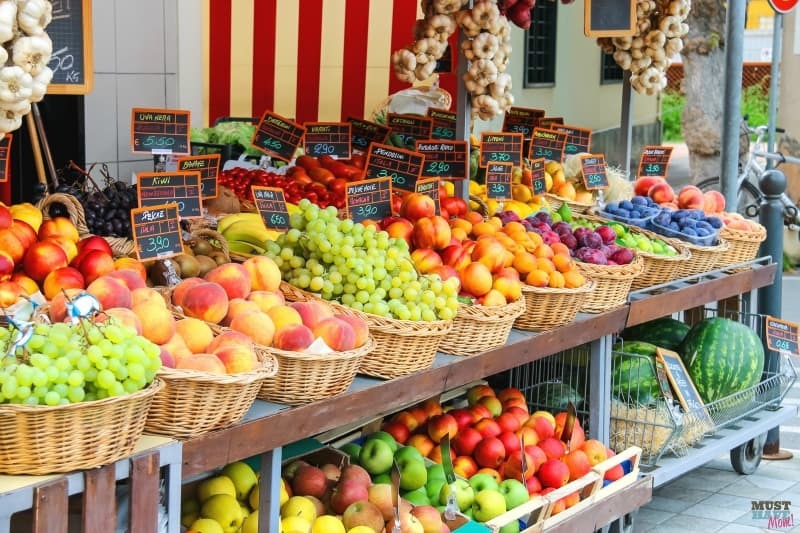 I love farmers market recipes and if you are looking for a way to use those amazing fruits then look no further, just keep reading. As you fill up your basket with sun ripened strawberries, raspberries, blackberries, fresh zucchini, carrots, and squash, keep your baby in mind too! 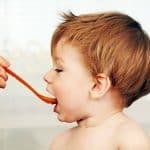 Now I realize that many moms lack the time to make homemade baby food but they still want to feed their baby the best, in-season fruits and veggies. Thankfully Beech-Nut has recognized this as well and inside their jars of baby food you’ll find only the fruits and veggies you want to feed your baby and nothing else. They make their food much like you would make it in your own kitchen. They use only the freshest fruits and veggies and don’t add any preservatives or extras so you can rest assured that your baby is getting the best. They all feature our favorite in-season fruits and veggies and they allow me a way to easily let my baby experience the same fruits and veggies that I love! It’s important to introduce your baby to a variety of colorful, flavorful fruits and vegetables early on. I have the BEST ever galette recipe to share with you. The best part is that you can make it with all sorts of different farmers market fruits. Whether you just went strawberry picking at a strawberry farm or you stocked up on amazing raspberries and blackberries at the farmers market, this recipe works with any of them! 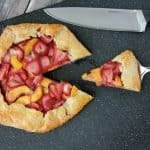 I made a strawberry peach galette with this same recipe as well and it was so amazing. I was able to pick up some fresh raspberries from my own garden (this is our first year getting any in our garden!) and some black berries at the farmers market for this amazing summer berry galette! Make a big galette or two smaller galettes by dividing the dough into two parts. Print off the recipe below and be sure to pin it on Pinterest and share it on Facebook for easy finding later! Easy, free form pie recipe using fresh summer berries. First place your stick of butter in the freezer to chill. Now prepare the filling by combing berries in a medium bowl with sugar and vanilla. Toss well to coat and set aside while you prepare the crust. Now prepare the crust by mixing together flour, sugar and salt in a medium bowl. Remove butter from freezer and cut small chunks off with a paring knife into the flour mixture until the entire stick has been added. Mix together with a pastry cutter or your hands until mixture looks like pea size crumbs. Now add ice water and stir together with a fork until the flour is moistened. If flour still looks dry add up to an additional 2 Tbsp of water and mix together. Knead the dough a few times in the bowl until it comes together in a ball. Shape the dough into a flat, thick disk and cover with plastic wrap and place in the fridge. Refrigerate for at least 1 hour. Preheat oven to 425 degrees. Line a large baking sheet with parchment paper or a silpat mat. Set it aside. On a lightly floured surface roll the dough into a 12" circle. If desired you can trim around the edge to create a clean edge, but this is not necessary. Transfer the dough to your prepared baking sheet and then add fruit to the center leaving a 2'' border all the way around. Do not add juices from the fruit. Set aside juices for later. Now gently fold over the edges of the dough overlapping where necessary. Gently press edges together to seal. Pour 1-2 Tbsp juices over the fruit. If you add too much it will leak all over and make your crust soggy. Brush the crust with beaten egg and sprinkle with sugar crystals. Bake 25-35 minutes until crust is golden brown. Remove from oven and let cool slightly. Serve your summer berry galette with ice cream or whipped cream. Serve your baby a jar of Beech-Nut’s just raspberry, apple & beets or just apple & blackberry so you can enjoy the fresh summer berries together! Find a local retailer that carries these amazing Beech-Nut varieties here. Be sure to sample them yourself. They are amazing and so fresh! What are your favorite ways to enjoy the in season summer fruits and veggies? 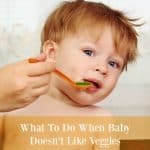 What To Do When Your Baby Doesn’t Like Their Veggies! I would have fed my baby that food, hands down!! 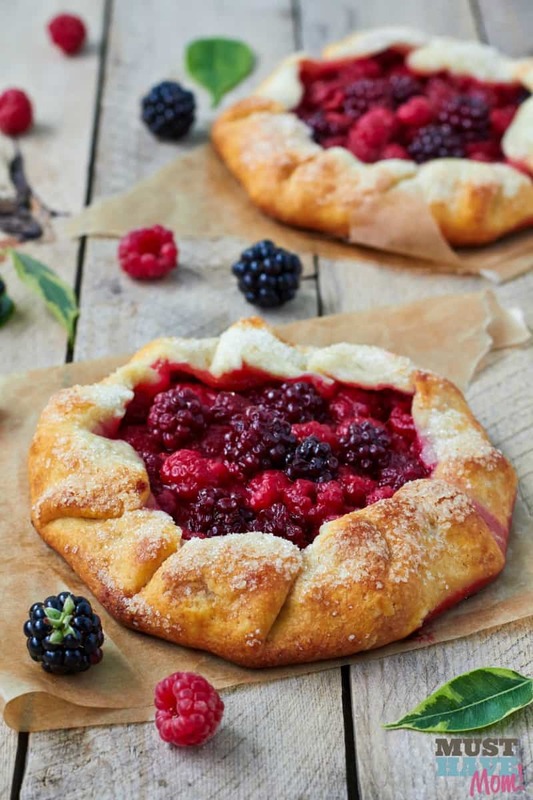 That Summer Berry Galette is stunning. I want to run to the farmers market right now! It is really good. And easy to make! I love using fresh fruit and veggies in my recipes. 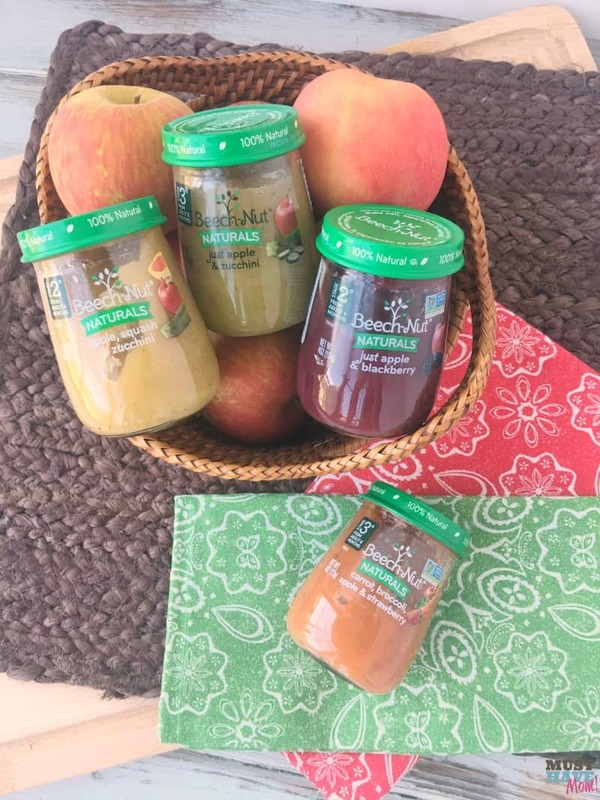 It’s great that Beech-Nut offers baby food that just uses in-season fruit and veggies. I agree. If we want it for ourselves, it is great we can get the same things for our babies. Yum! they look so beautiful! Can’t wait to try out your recipe! They are so good, I know you will love them. YUM! They almost look too beautiful to eat! I’ve never made a galette, but this looks seriously beautiful! They are almost as great to look at as they are to eat. I absolutely love to go to farmer’s markets. There are so many good finds there. 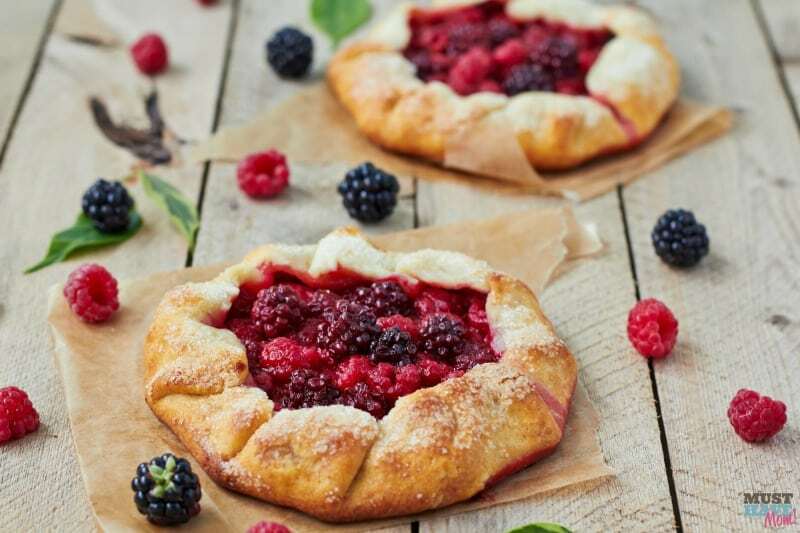 Your summer berry galette recipe is mouth watering. Thanks so much for sharing your recipe with us at Merry Monday. I have been wanting to make a Galette forever! This recipe is awesome and really easy to make this dessert. 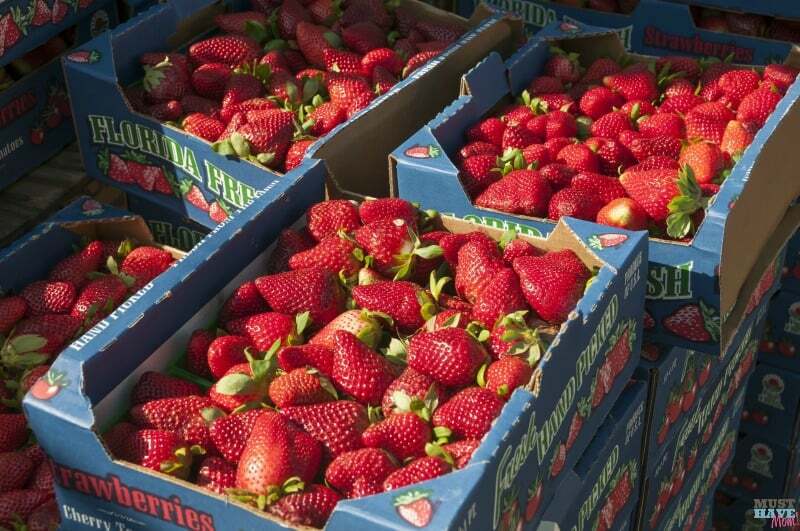 I love the Farmers market berries and it looks delicious. Oh yum! I have never had or made a galette before. So many yummy raspberry recipes on your blog. I need to go get some raspberries. We are big fans of raspberries around here.